Today, I have made an exceptional discovery in a pile of sea weed and other detritus dragged high up the beach by the fierce tide. 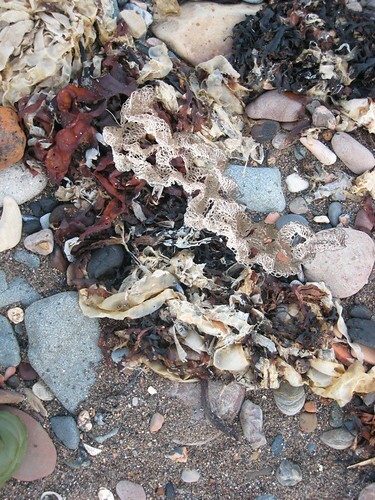 At first glance, it appeared to be just another dumped plastic bag, but closer exmination revealed something far more exciting - a patterned structure that seems to be made out of stitches and thread. Could this be part of the famed starfish that I've been searching for?